Initially he thought that it was a boat or a hot air balloon. Fishermen often come across weird creatures in the ocean. 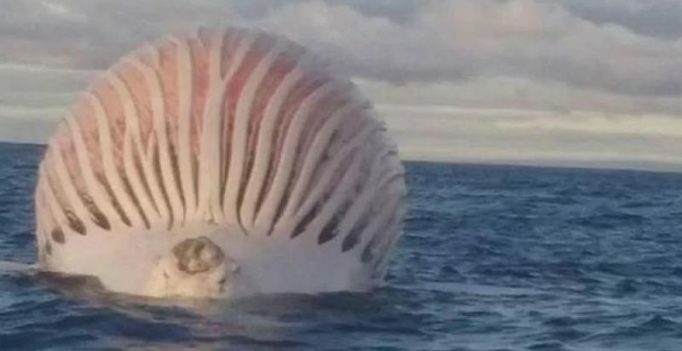 Recently, a fisherman captured a bizarre image of an alien-like creature. 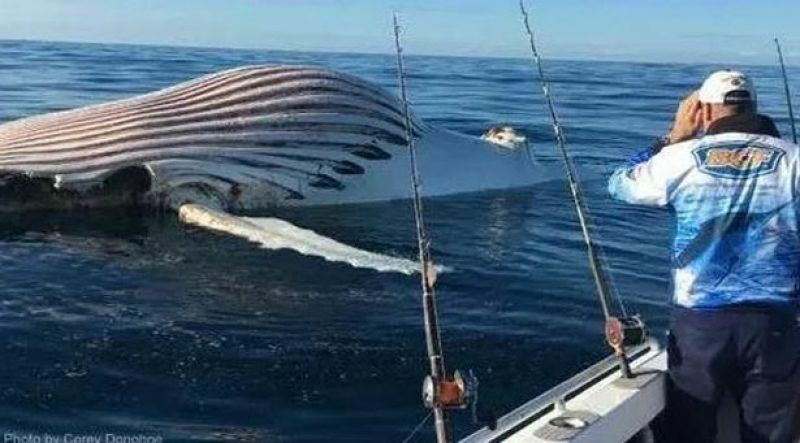 Australian skipper Mark Watkins spotted it while he was out on his boat and the creature turned out to be a whale. Watkins got confused looking at the bulbous shape appearing from the water. 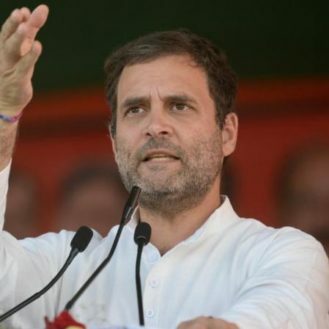 Initially he thought that it was a boat or a hot air balloon but later realised that it was a rotting whale. Off the coast of Bunbury in Western Australia Watkins and his father captured the mammal. 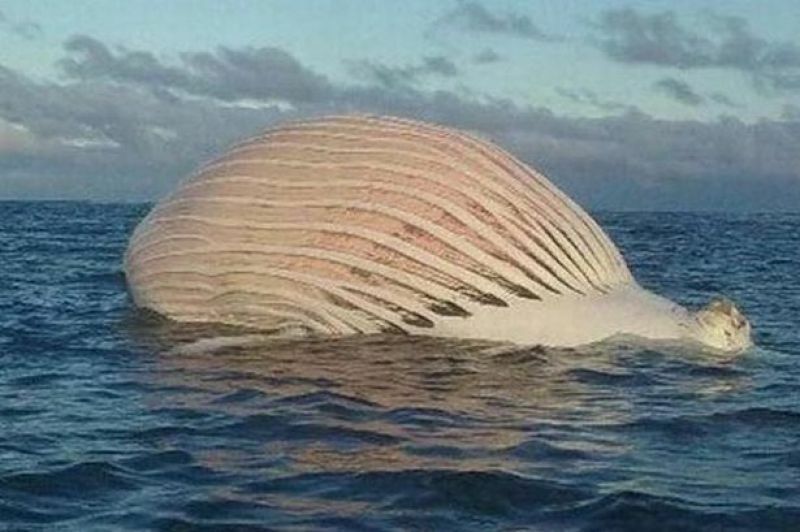 According to reports, the whale was in an advanced stage of decomposition. These pictures were posted online. “Its stomach was full of gas so it was all bloated up. When we got closer we realised it had to be a dead whale because of the smell.” he told the West Australian. He also said that they had a great white shark of between 11.5ft and 13ft around their boat that day. 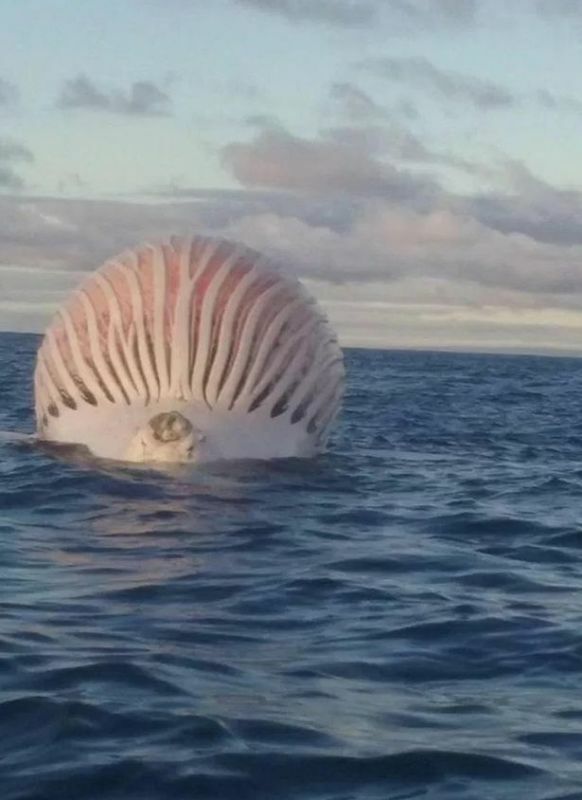 Though they didn’t see the creature anywhere near the whale that day but on their return, the dead mammal seemed to have been bitten and was no more inflated.